Not so long ago, catching a flight was simple; visiting the airport was easier still. More or less open to the public, one did not even need a ticket to wander through the terminals. Remember when families huddled near the tunnel to the plane, cheering and applauding when a friend or loved one emerged after a long flight? The terrorists on September 11 changed the United States in many ways, one of which was the priority the country places on aviation security. Airport security went from a simple metal detector with a lackadaisical guard to a multi-million dollar endeavor with agents eyeing every traveler as a potential evildoer. Flying quickly became (and remains) a trying and time-consuming ordeal. The sense of freedom that airports inspired was swept away, along with America’s naiveté about the terrible things people will do to harm us. The Transportation Security Administration (TSA) was created, in part, to address the priority need for aviation security. U.S. airport security looks as it does because of 9/11 and the public demand that such a catastrophe never happen again. The flying public is certainly free to call for a more palatable security experience, but even as we clamor for faster improvement and fewer mistakes, we should preserve a measure of perspective. Not all countries consider aviation security to be a top national priority, and as a result, their airport security efforts are markedly different than those in the United States. I recently returned from a trip to Egypt, flying from Cairo to New York. Threats (and the resources to mitigate them) vary between countries, leading to different approaches to security. For some perspective on TSA’s performance and the level of security they provide, consider these observations on security at two major world airports. 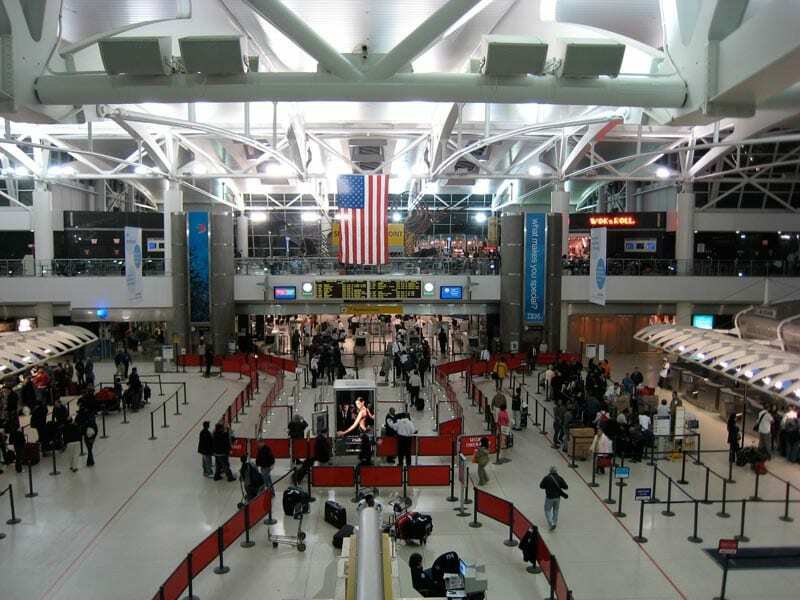 John F. Kennedy International Airport: I received my boarding pass at the airline ticket counter and was told to deposit my luggage at one of several roped-off areas. Like at most U.S. airports, a pair of TSA workers pushed all checked baggage through a scanning machine, piece by piece. There were several of these areas in the terminal, and when one area ran out of floor space, agents directed travelers and their bags to another. Leaving my bag, I joined the long line of travelers that fed into the passenger screening checkpoint. It was a busy afternoon, but there was a clear order amidst the crowd. Cairo International Airport: Immediately inside the terminal’s sliding glass doors, I found a conveyer belt feeding a baggage scanner. At least a dozen people (me included) hurriedly shoved bags (checked and carry-on alike) onto the belt. We accumulated in a wide arc around a single walk-through metal detector. The people filtered through one by one, thrusting documents at a single airport employee standing beside the machine. Since I had not yet received a ticket or boarding pass, I offered a ticket confirmation printed from my personal e-mail account. This, evidently, was sufficient proof that I had a plane to catch. The metal detector alarmed as I walked through, but it did that for almost everyone around me, and in any case, no one seemed to mind. On the other side of the metal detector, the constant stream of luggage was backed up and falling off either side of the conveyer belt. I dug my bags out of the growing pile and proceeded to the ticket counter.